• Demand respect for the Cajamarca referendum in which 98% voted against a large-scale gold mining project called La Colosa. This project, owned by mining company AngloGold Ashanti, would cause extensive environmental damage in this biodiverse region. • Express our concern that the Colombian government is blocking future attempts of local communities to organise local referendums against mining and fracking in the second most biodiverse country in the world. • Express our horror about the impending Hidroituango dam tragedy, and demand investigations for the recent assassinations of activists denouncing the irresponsible project. 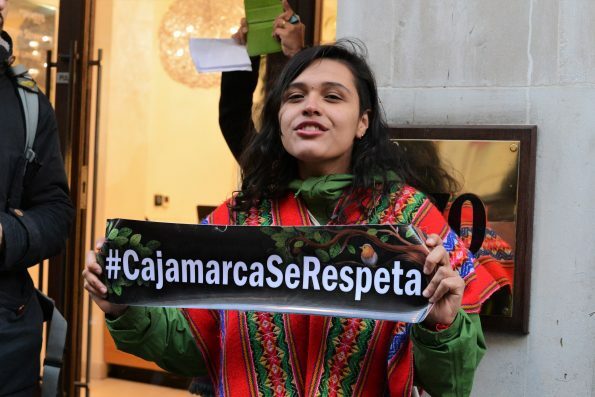 • Express our support for activists and community leaders who are being assassinated and threatened throughout Colombia ‒ the third most dangerous country in the world for land and environmental defenders. • Commemorate the one year anniversary of the Buenaventura Civil Strike, and show our support for the process. • Express our concern about the contamination resulting from petroleum extraction in Putumayo. • Express our concern about the alarming rate of logging in the Amazon. In 2017, it is estimated that an area of rainforest the size of Switzerland was destroyed.